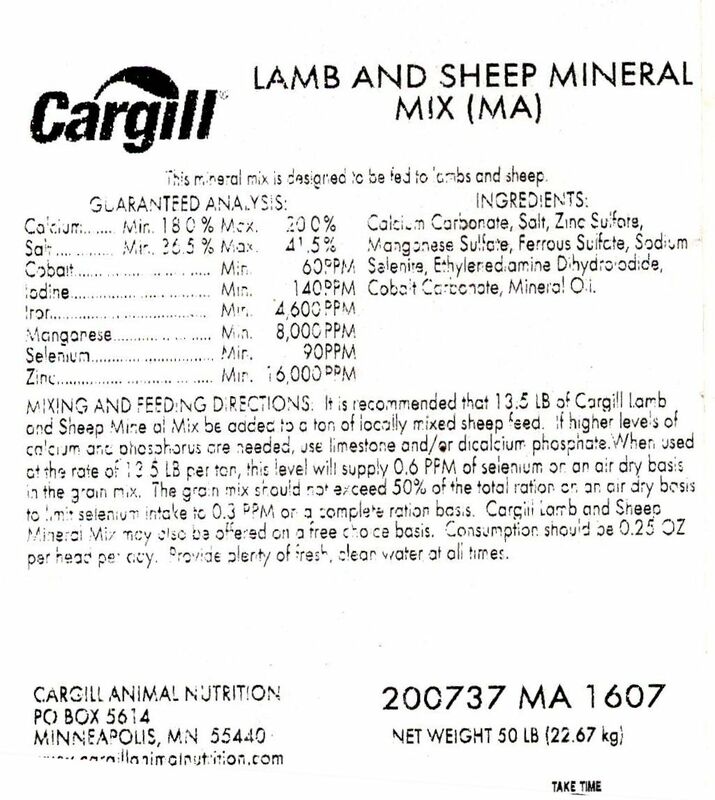 This page contains the feed tag for the Cargill Lamb & Sheep Mineral Mix. If your feed store does not carry this, it can be special-ordered by a feed store from Cargill using feed code 200737. Originally formulated more than 30 years ago by Professor Doug Hogue for corn silage diets. It works well as a free-choice mineral mix for sheep on pasture or being fed hay or haycrop silage. Recent information suggests that the iodine level should be doubled to 140 ppm, which the Cargill Lamb & Sheep Mineral Mix now contains.